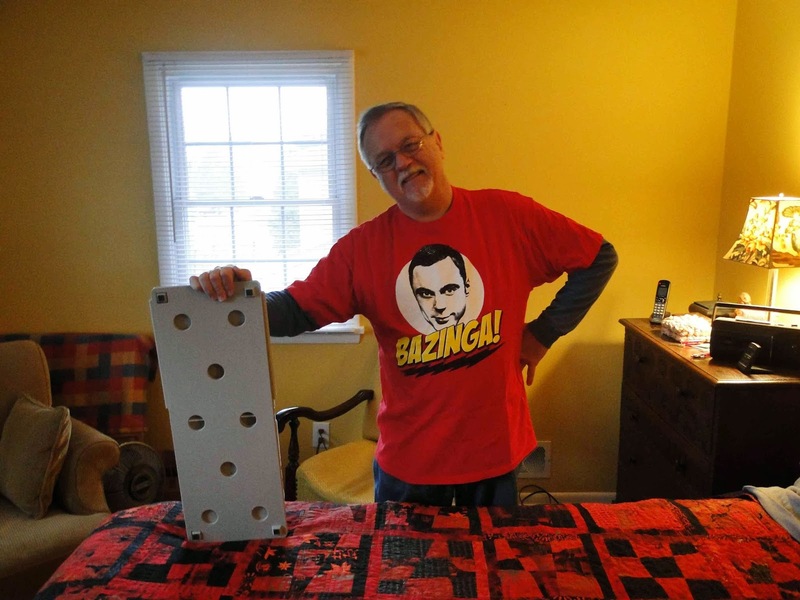 Follow the travels of John Kubiniec and Big Rig Quilting as he takes to the road. 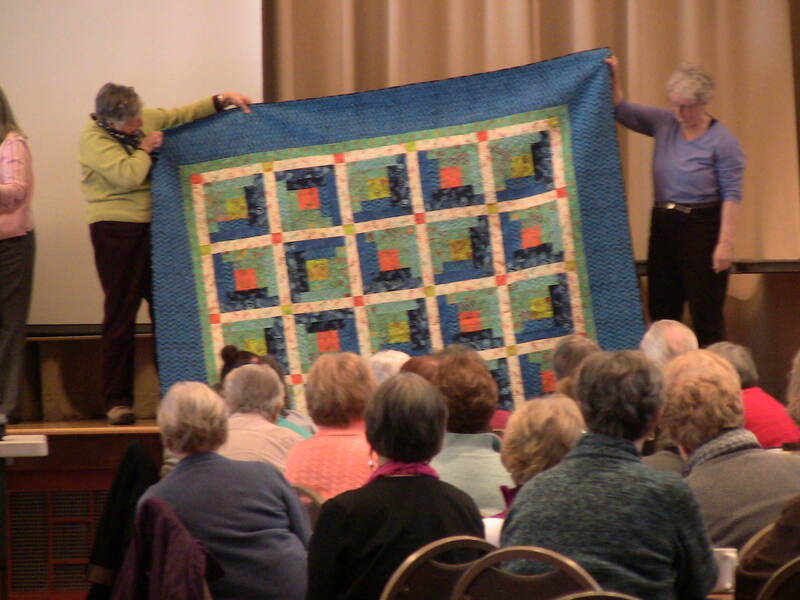 Last week I had the privilege of giving a presentation and trunk show for my local guild the Genesee Valley Quilt Club. 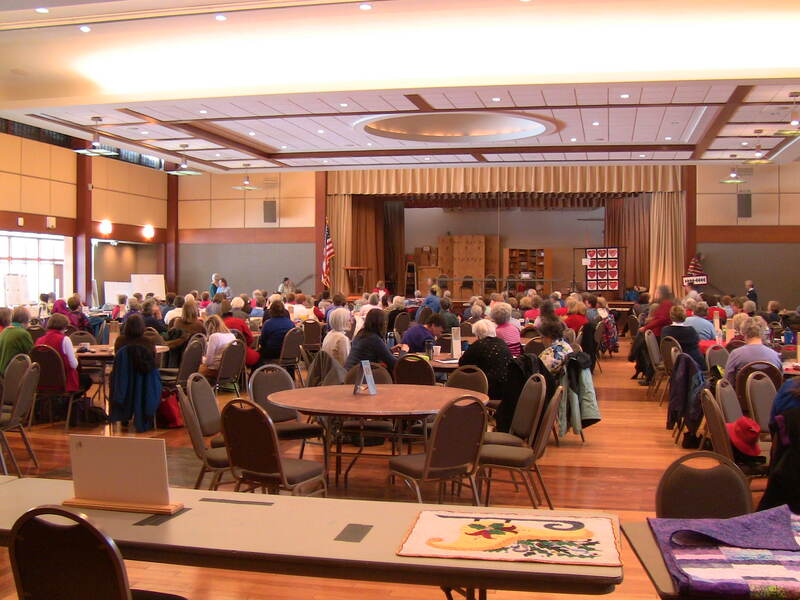 They have been meeting for over 75 years and boast over 300 members. At any given meeting about half the membership is there. 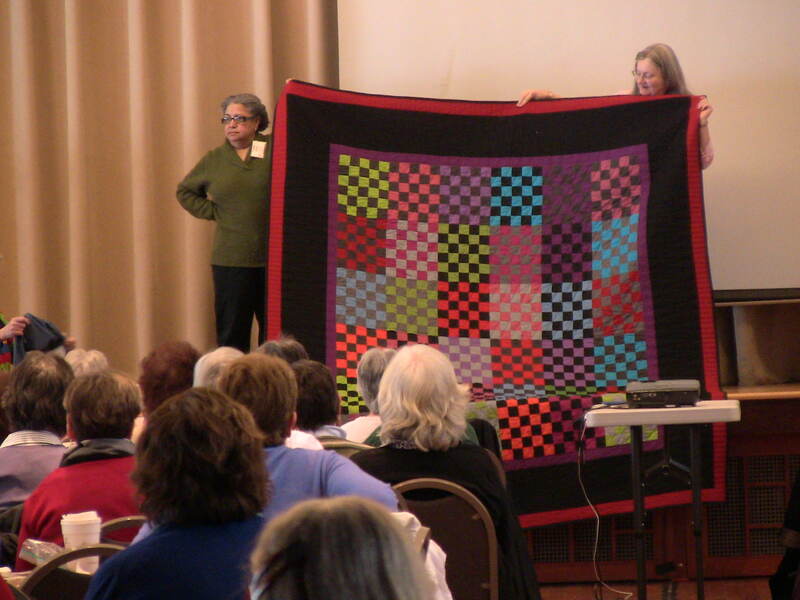 I gave my presentation “Yes, Men do Quilt” which takes people on my journey into the world of quilting and how I approach quilt design. 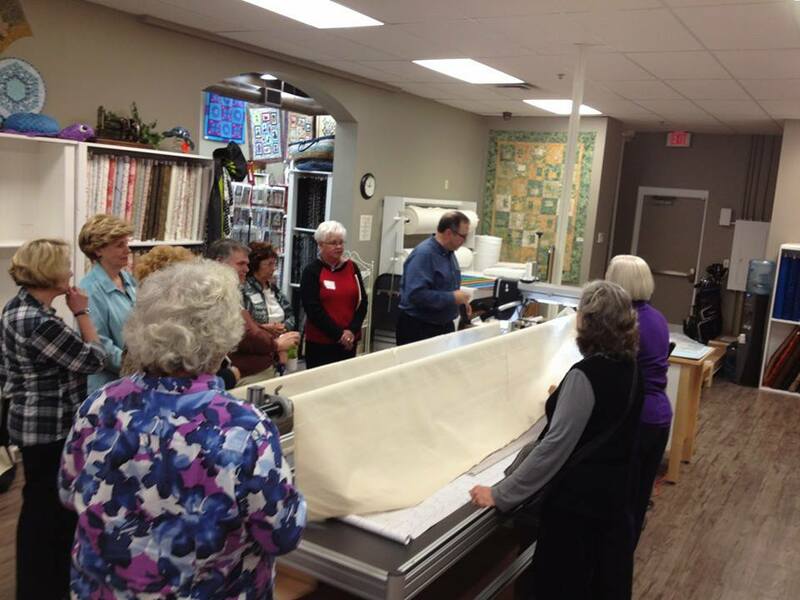 It is always fun to do the trunk show and to talk with everyone afterwards to see what they see in my work. 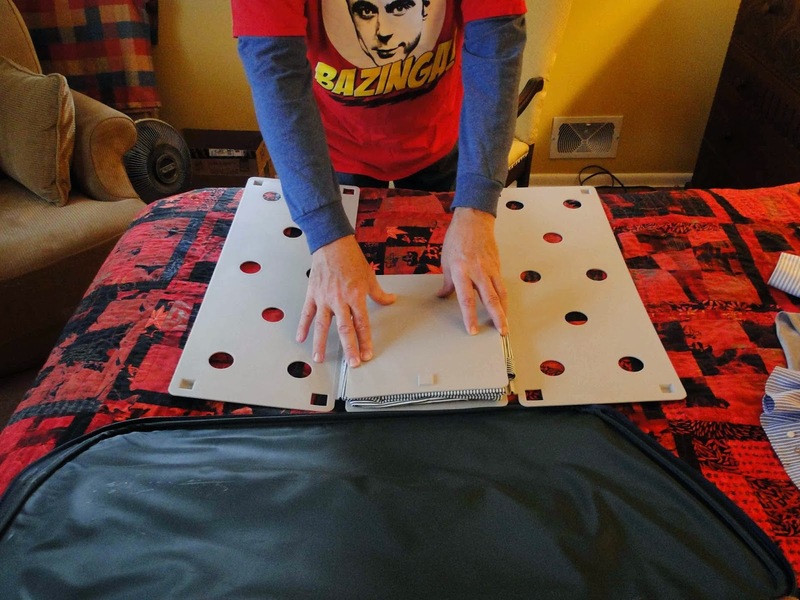 It is always great to look at your work through the lens of others. 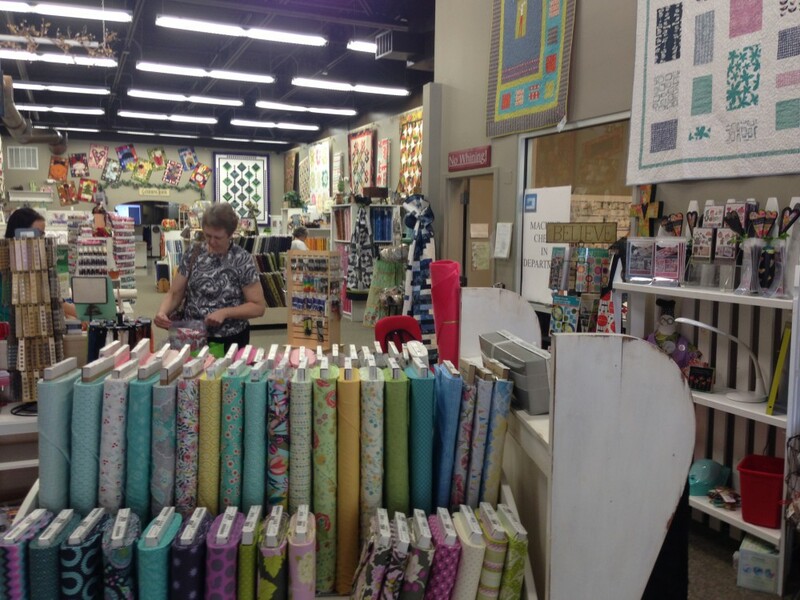 I had a wonderful conversation with one of the members – she came up to tell me that she had started teaching her grandson to hand quilt. 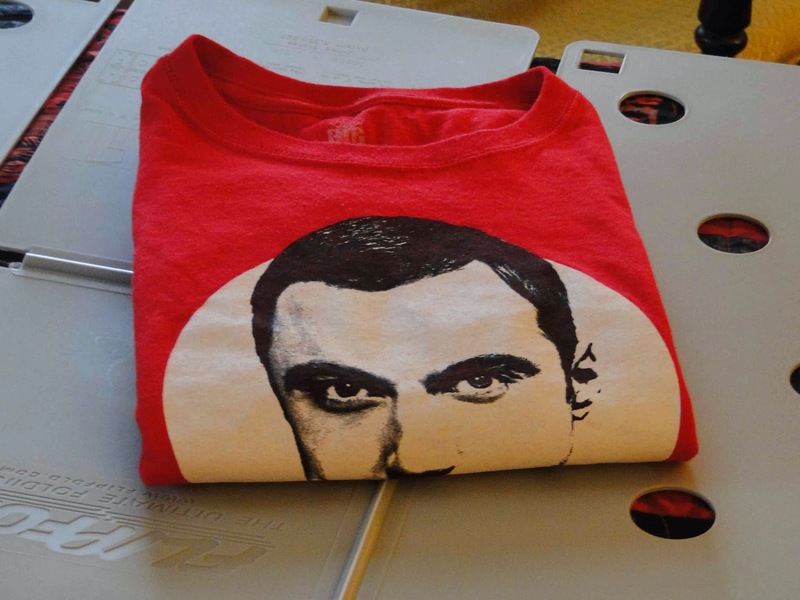 And he is loving it! 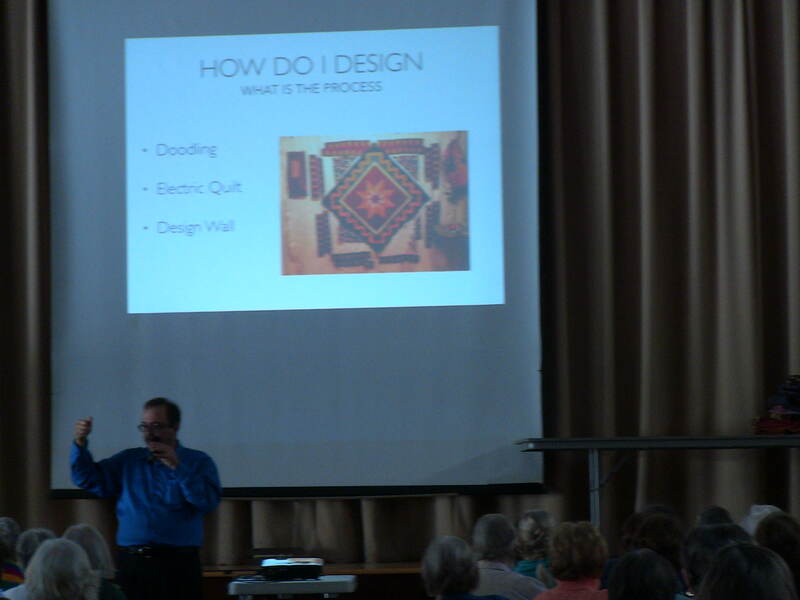 Check out my lecture and workshop page – I would love to come and give a presentation for you guild! 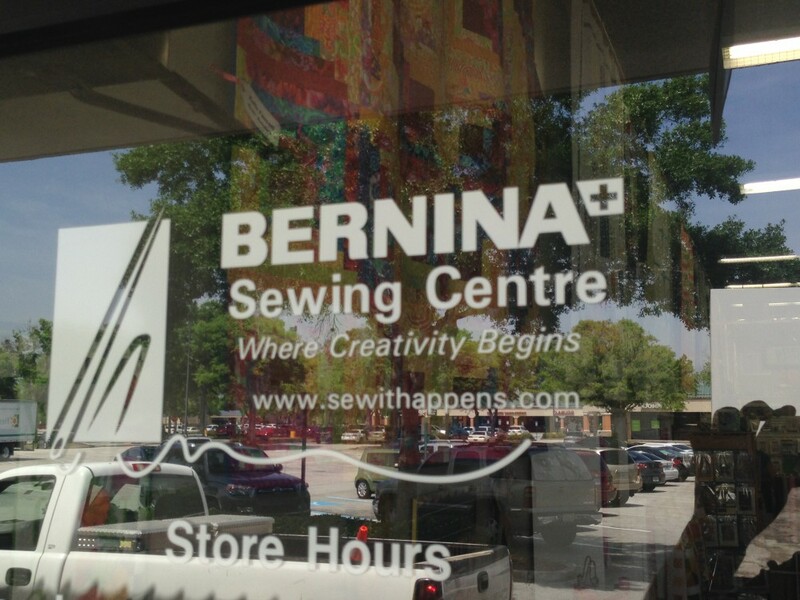 I recently returned from a trip to Lake Mary, FL and the BERNINA Sewing Centre. 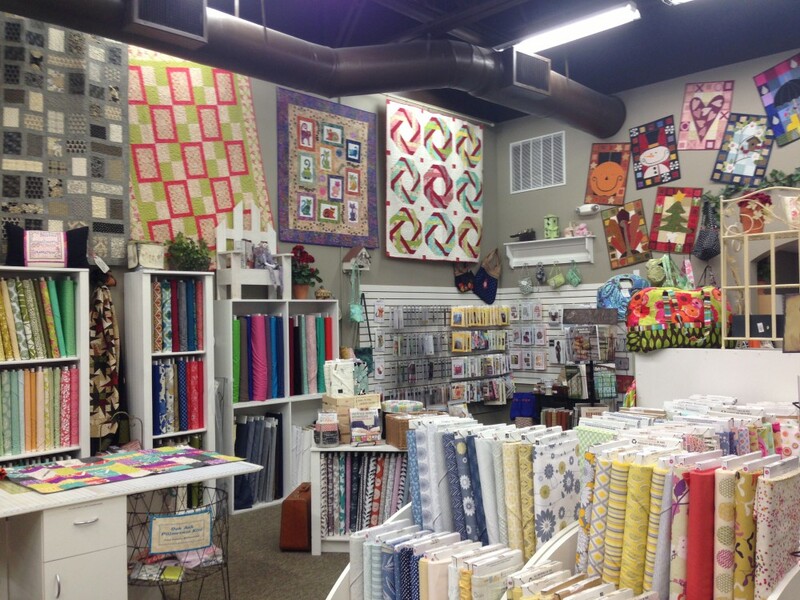 Melody and Steve Hicks have a wonderful store. They have a wonderful classroom that has a great media set-up. 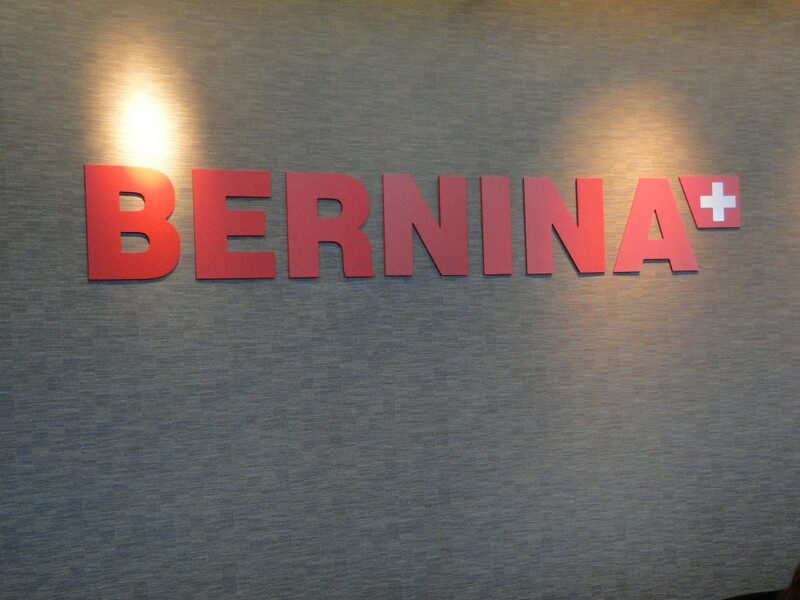 It was a fun filled couple of days. 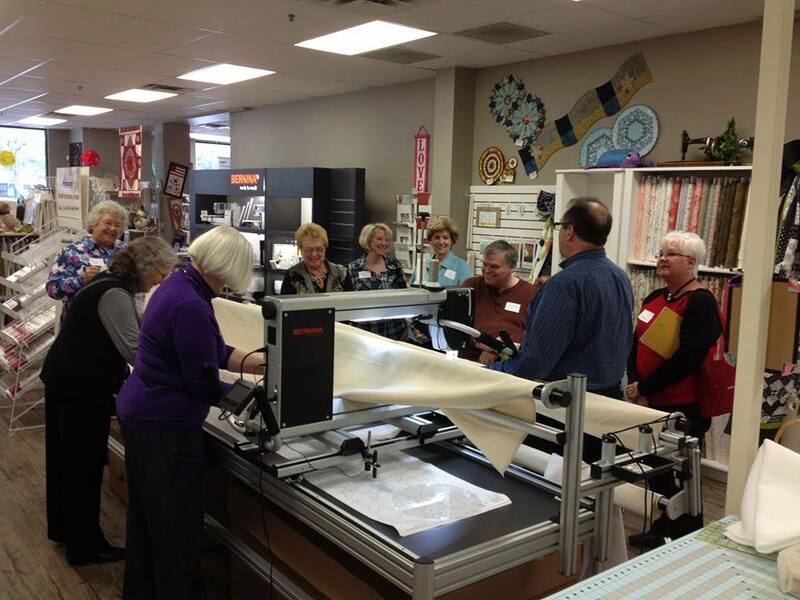 On Friday we had a few informational sessions for people who were interested in learning about the new BERNINA Q 24 Longarm. 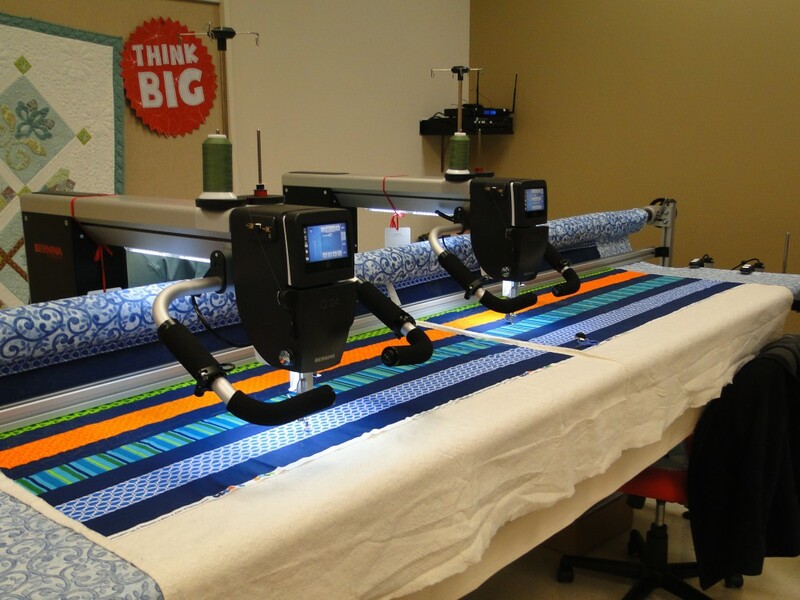 On Saturday we had a morning session on using Rulers on the Longarm machine – everyone discovered that it really is easy to incorporate ruler work into your longarm quilting. 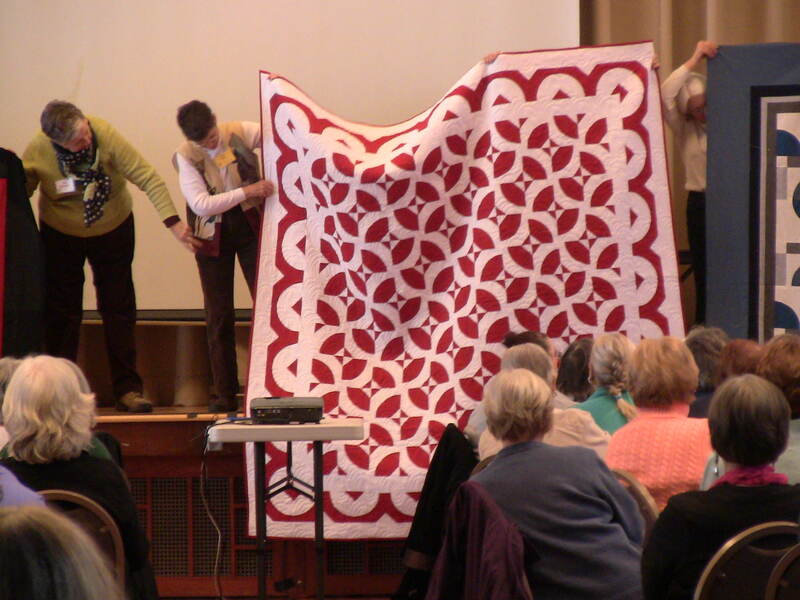 In the afternoon we had a session on Modern Magic – quilting modern quilts. 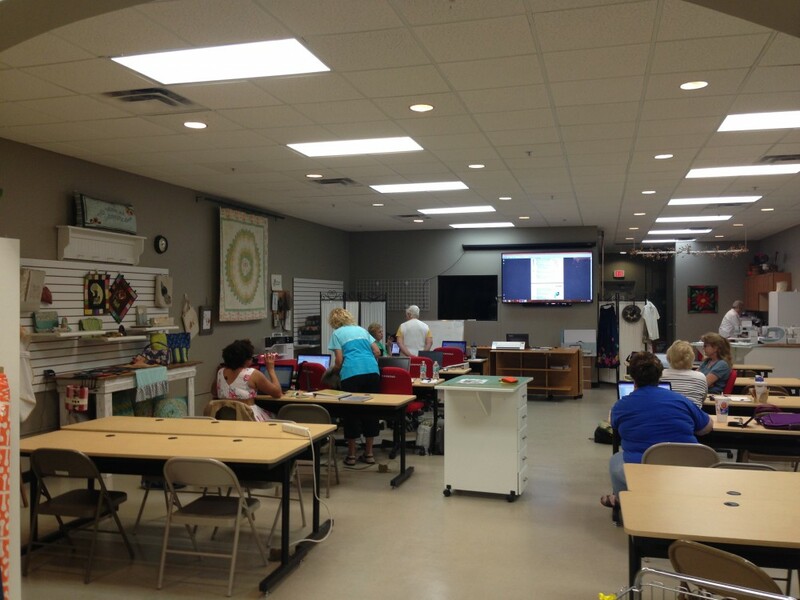 There were to highpoint of this session – the first was talking about possible quilting designs for quilts that the participants brought in, the second was when we looked at fabric designs as inspiration for quilting designs. 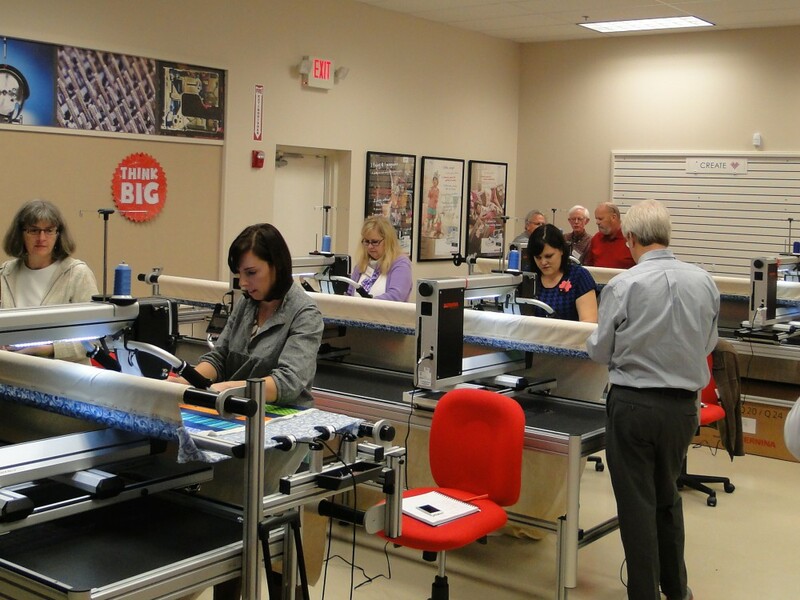 If you are even in the Orlando area make sure you stop in and visit. 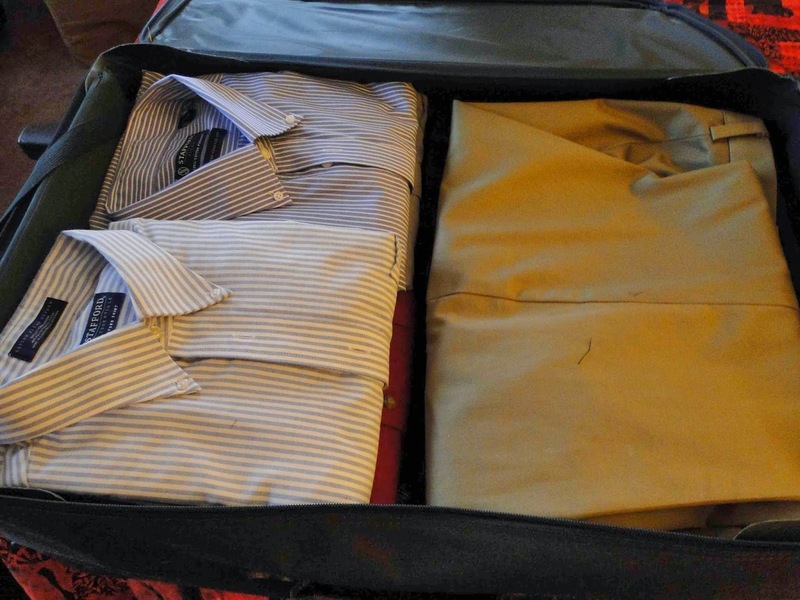 And – finally – take some time out from creating and find some time for learning. 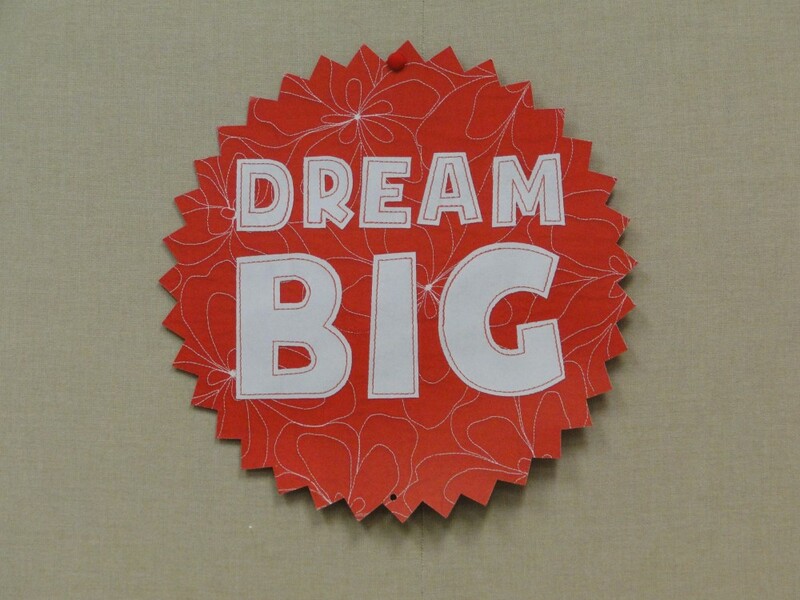 Find some classes in your local area or find a conference happening where you can take part in some classes to increase your skills and spark your imagination. 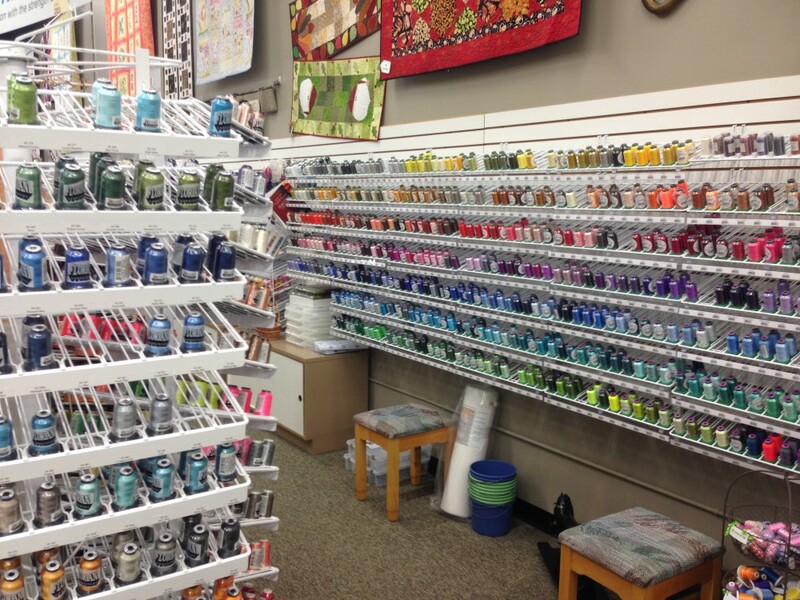 This past weekend I was at the Aurora Sewing Center in East Aurora NY. 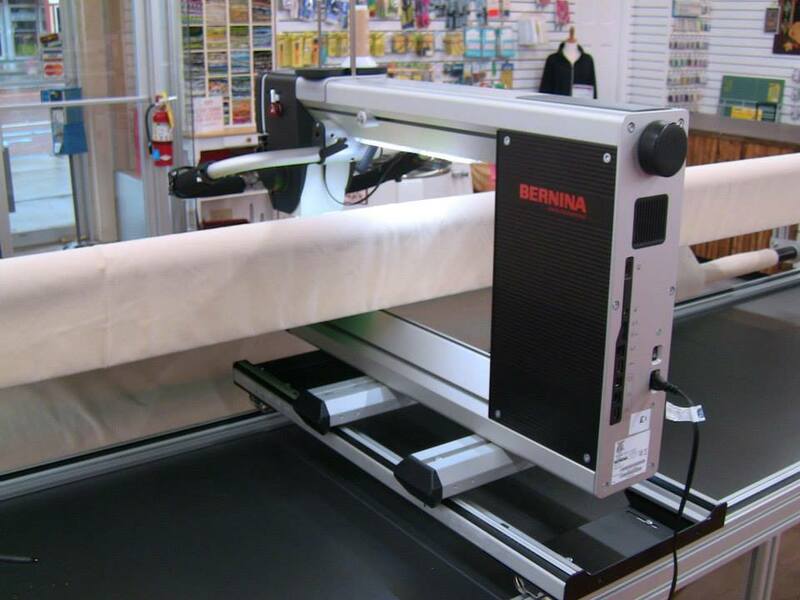 Barb Perry has a great store and a great staff – and they had a wonderful event to roll out the new BERNINA Q24 Longarm in Western New York. 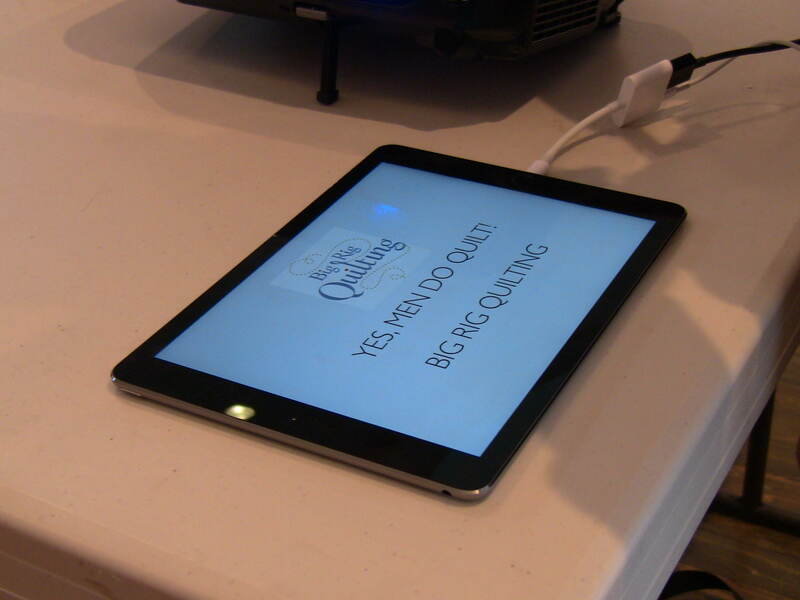 The event took place on Saturday and Sunday and featured a number of different demonstrations on various machines as well as some fun take-away projects that those attending could make. 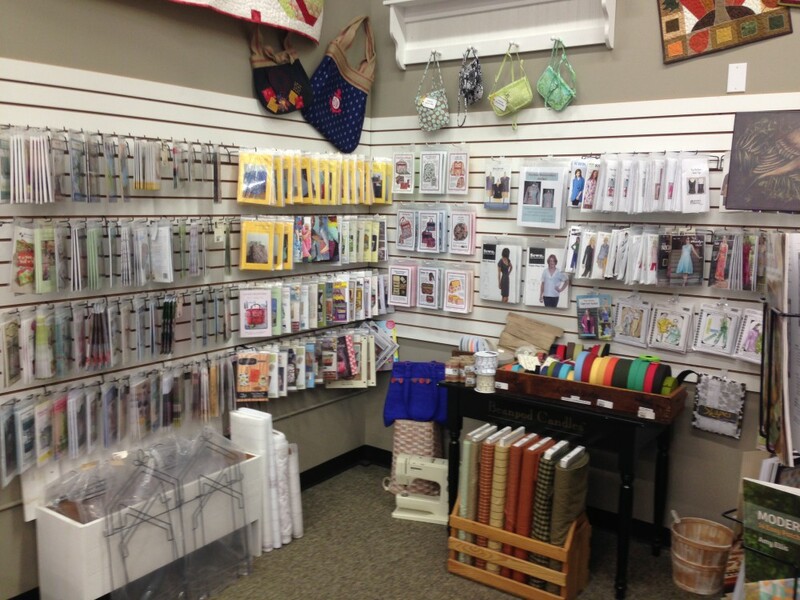 They just finished giving the store a facelift – and they did a great job. 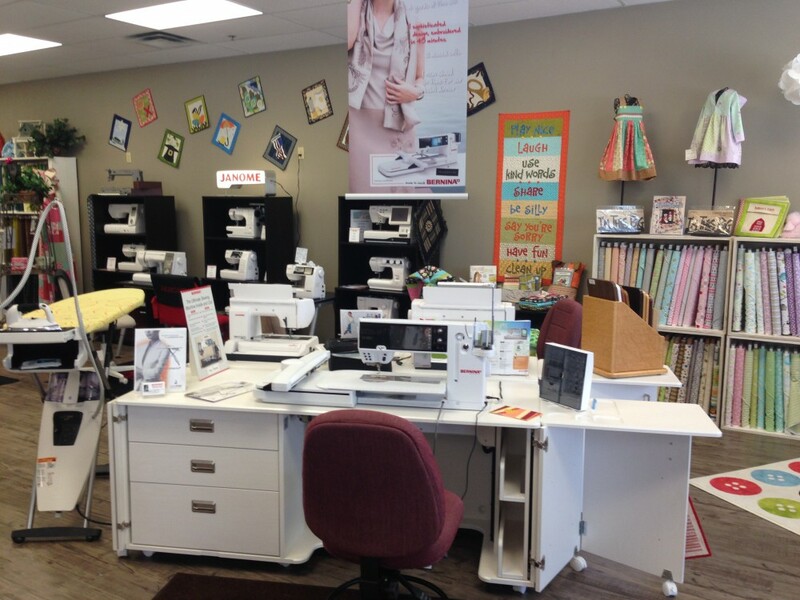 If you are ever in the East Aurora area be sure and stop in and visit – to try out the longarm and to shop for some wonderful fabric. 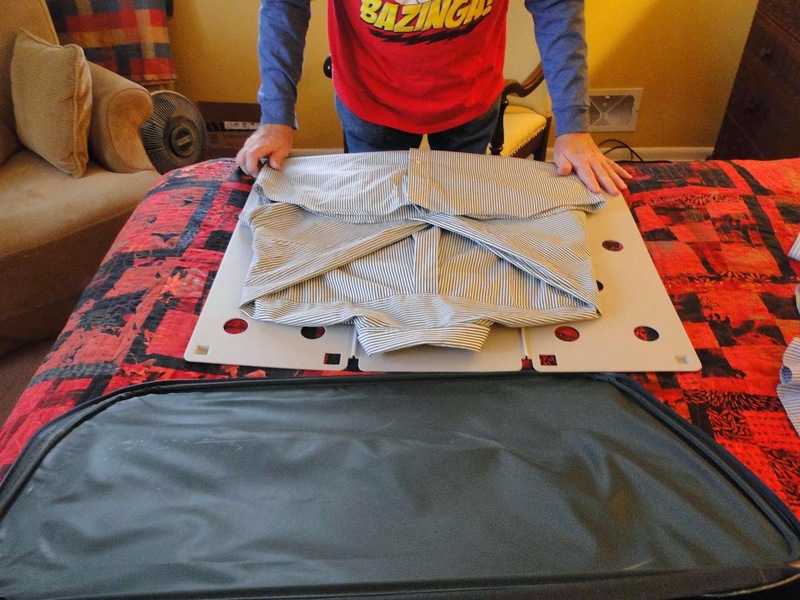 Bernie Longarm is hitting the road again to do some more testing on the new BERNINA longarm machines – he can’t wait to get back to Switzerland – unfortunately he was delayed a day because of a cancelled flight – but he is ready to hit the road again with some help from his friend Ray. 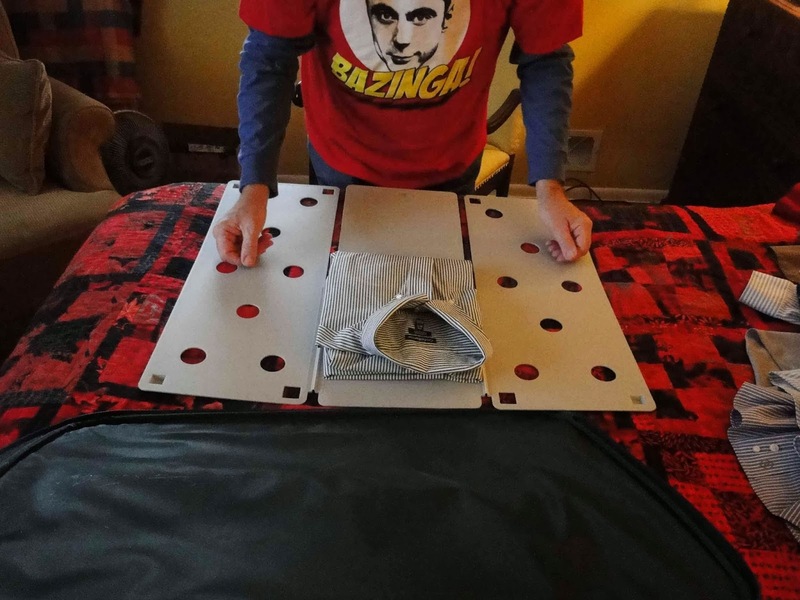 Ray got a Super-Duper-Sheldon-TShirt-Folder for Christmas from Santa. 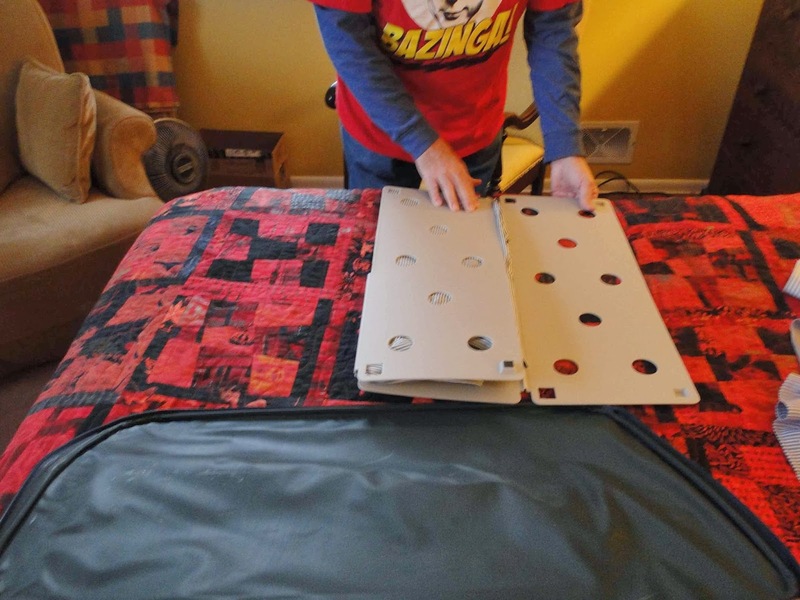 Ray said it was the best Christmas gift since he received an electric train set when he was 8. 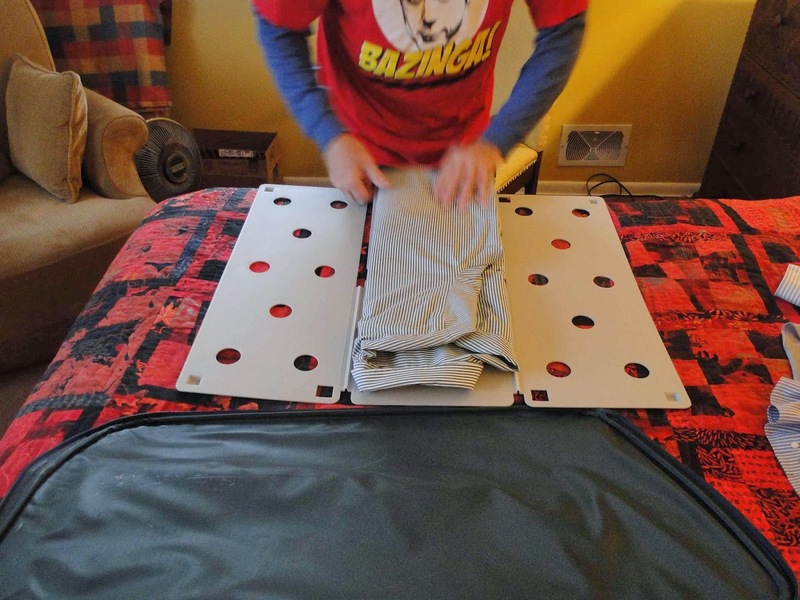 Both Ray and Sheldon really love trains. 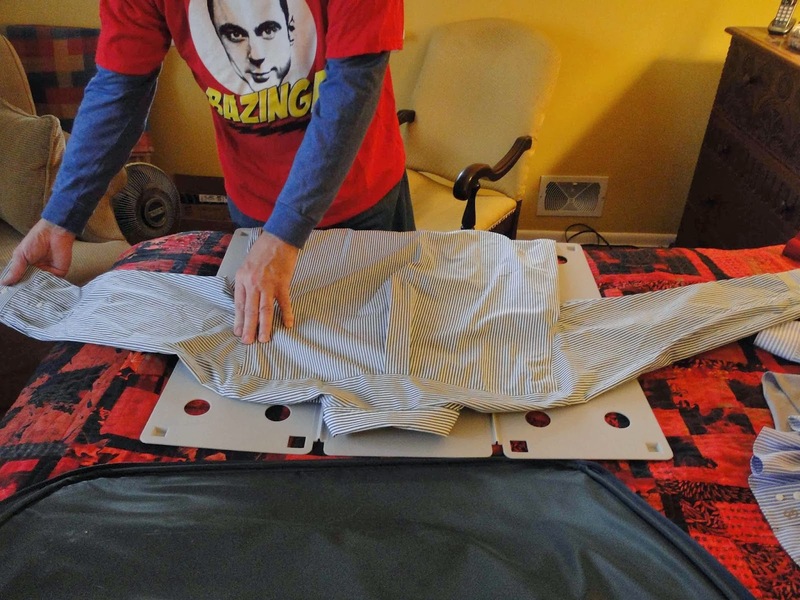 Ray folded some of Bernie’s shirts with his new tool. 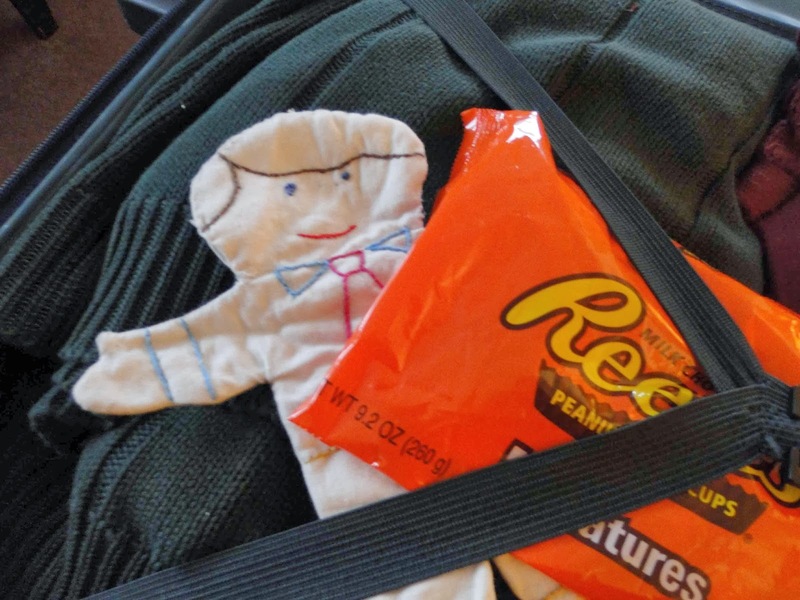 Bernie has to take over some Reese’s Peanut Butter cups for one of his new Swiss friends. 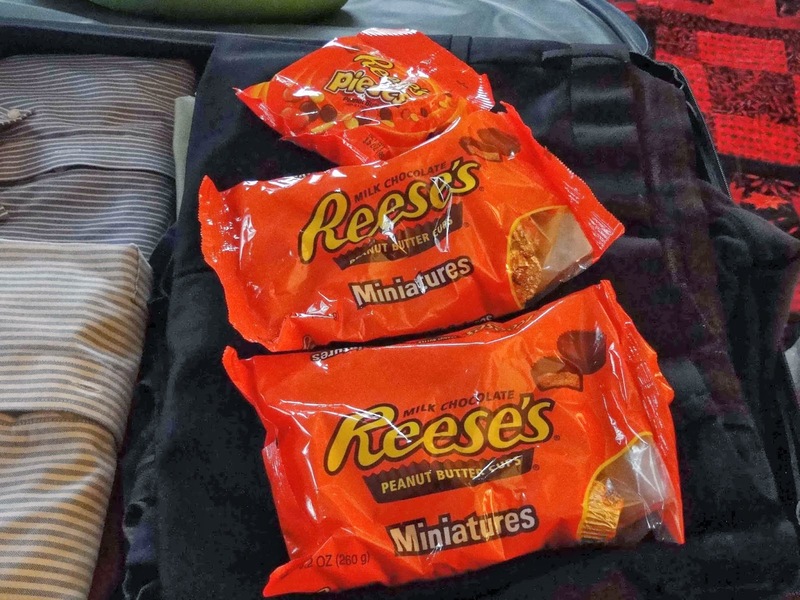 She loves these and can’t get them in Switzerland. 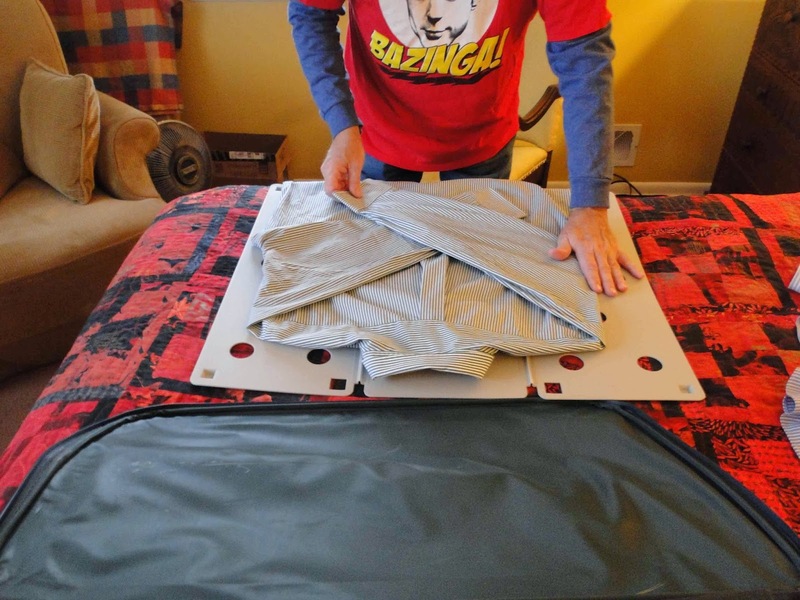 Sheldon is all folded perfectly and is stored away awaiting the next laundry day.